Don't like to hoe weeds? Is it a pain to keep the tiller running? Could you do without it's noise and fumes? Most people answer with a resounding "Yes" to these questions. But how can we control weeds and maintain a loose friable seedbeds to plant in the spring? This would be hard to do by ourselves, but luckily, we have very powerful, hardworking allies: Earthworms and trees. Worms can accomplish the truly miraculous feats of soil loosening and fertility building if they have a hospitable environment. Like every creature, earthworms need plenty of food( like rotting leaves or other organic material, the proper temperature( in their case, cool), and enough water. Like you, they hate rototillers. If you were a worm, you would flee the vibrating machine slashing through your home, drying it out and disturbing your food supply. Gardens that are regularly tilled or plowed have very few worms, leaving it to the gardener to loosen the soil and apply fertilizer through laborious, inefficient methods. Consider how to attract and increase earthworm populations when you control weeds. Conserving soil moisture and coolness suits them, as well as the plants you want to protect from weeds. Mulching with leaves is a pleasant chore which begins with a walk in the shade, carrying an old tarp or sheet, and a rake. It takes a thick layer of mulch to control weeds. If weeds grow through your mulch, you did not apply enough. This method is not less work than weeding, you are simply performing different tasks. Rather than plowing in the fall, protect your valuable soil and worms from winter rains and cold by simply pulling out dead plants and applying compost and or mulch. This will attract many worms as the mulch decomposes. They also prefer warmer mulched soil to the surrounding cold soil. If you don't have access to hay or other machine made mulch, leaves are plentiful. If you are concerned that they may be too acidic, sprinkle a little lime on them when you apply them to the garden. Check around for a farmer who might have some big round bales of hay left over. Hay is a cheap source of organic material. Use lots of hay, piling it on will suppress weed seed growth. In the spring, pull the mulch away to set plants. 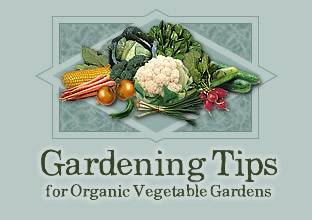 To sow seeds, simply sprinkle a heavy line of soil or compost on top of the mulch and plant the seeds in it. The seedling's roots will grow down to the rotten material and worm casings. Keep piling mulch on as the plant grows for soil building. For more information about this method, check your local library for a copy of Ruth Stout's classic, How to have a Green Thumb Without an Aching Back.